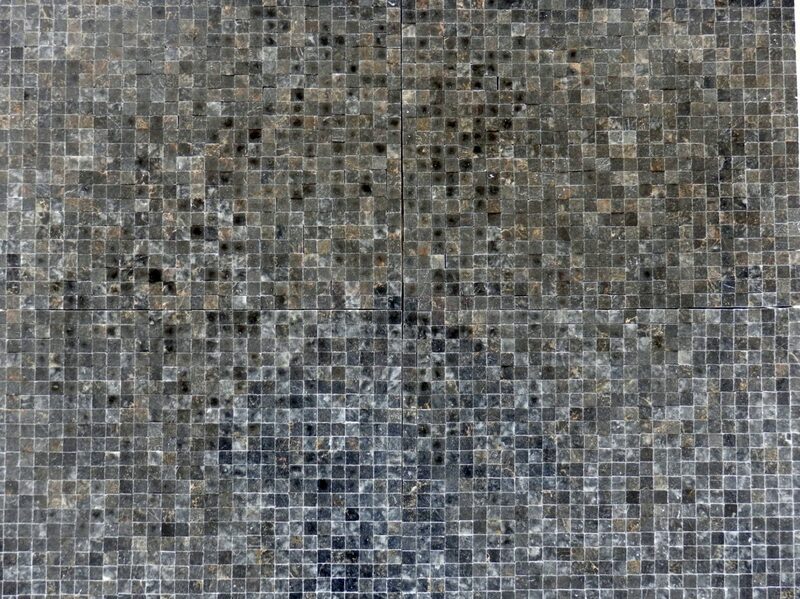 A beautiful polished black marble with lighter tones throughout in an intricate mosaic with individual marble squares of 10mm. 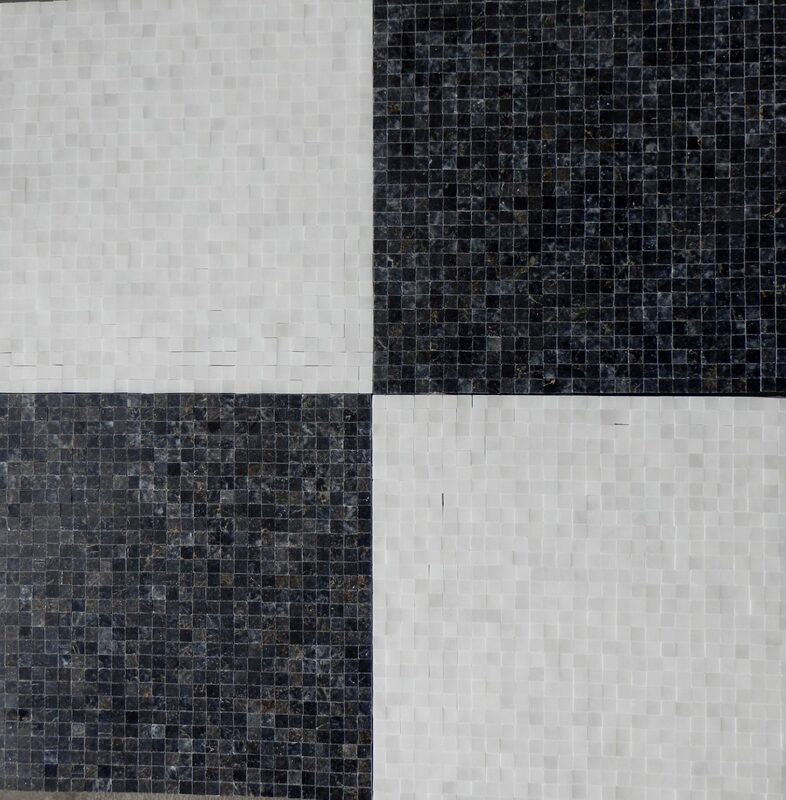 This marble looks striking as a feature for the wall or floor. 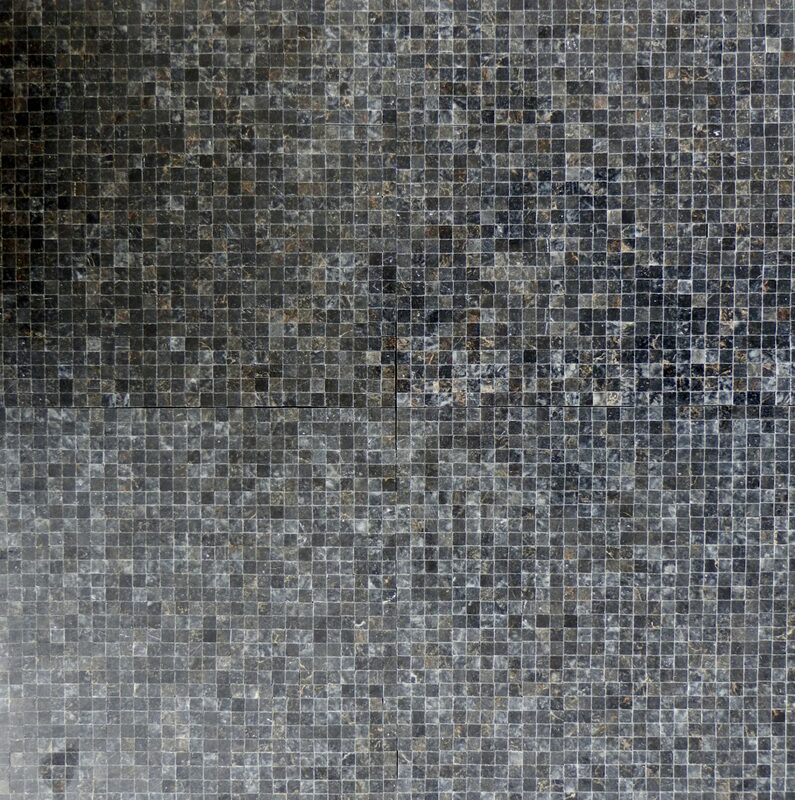 There is no grout required so this mosaic is not suitable for wet areas. 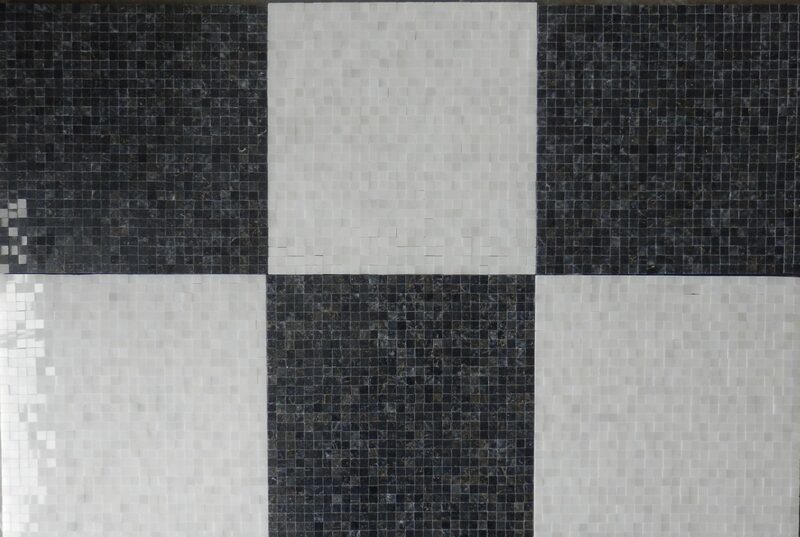 There is also a polished white mosaic in this range.